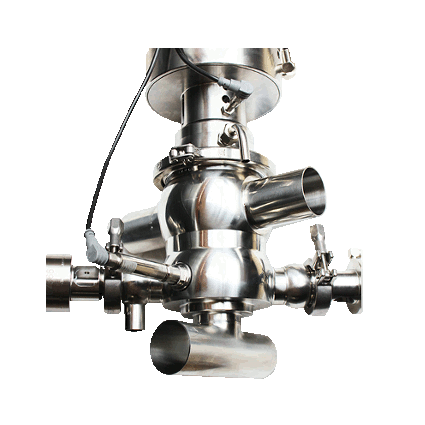 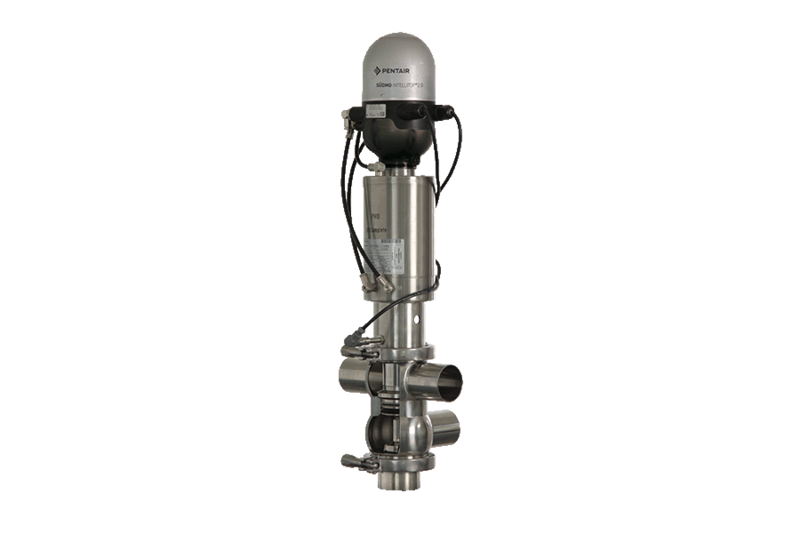 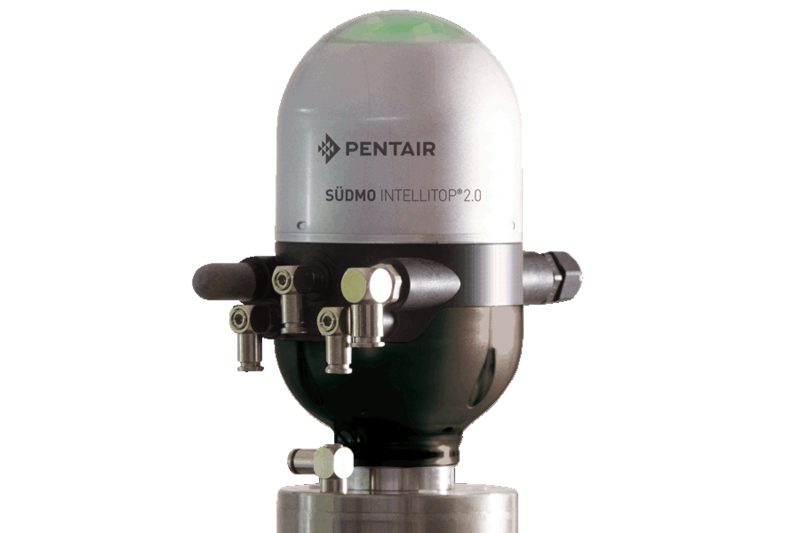 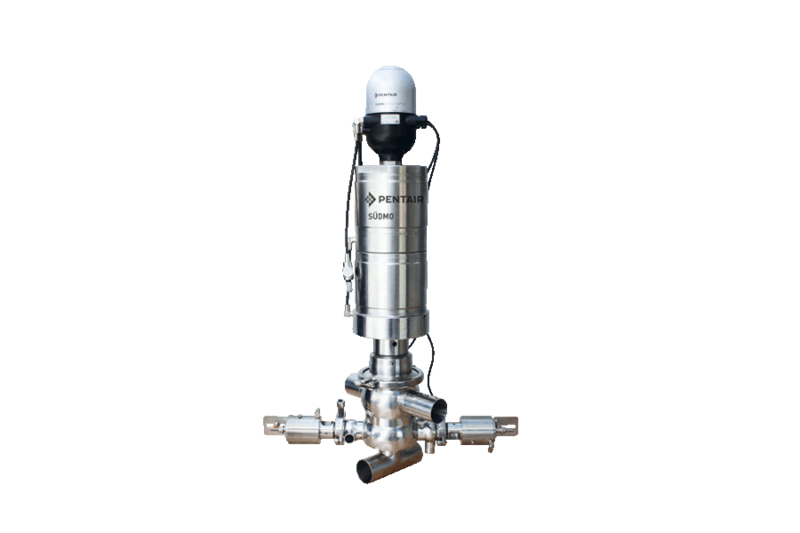 Mixproof Aseptic Process Valve Südmo AS-DSV Secure for use and automation in a wide range of applications for the food, dairy, pharmaceutical, and beverage industries. 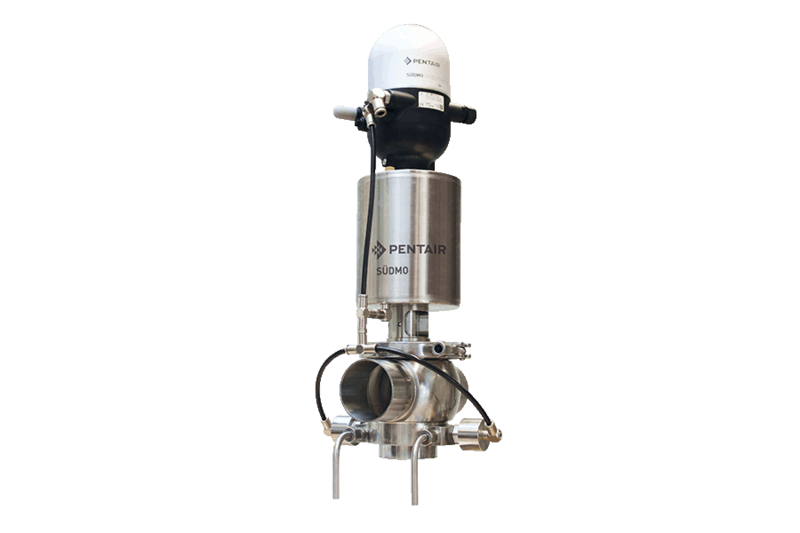 Simultaneous, programmed filling, emptying and cleaning of production lines without risk of mixing. 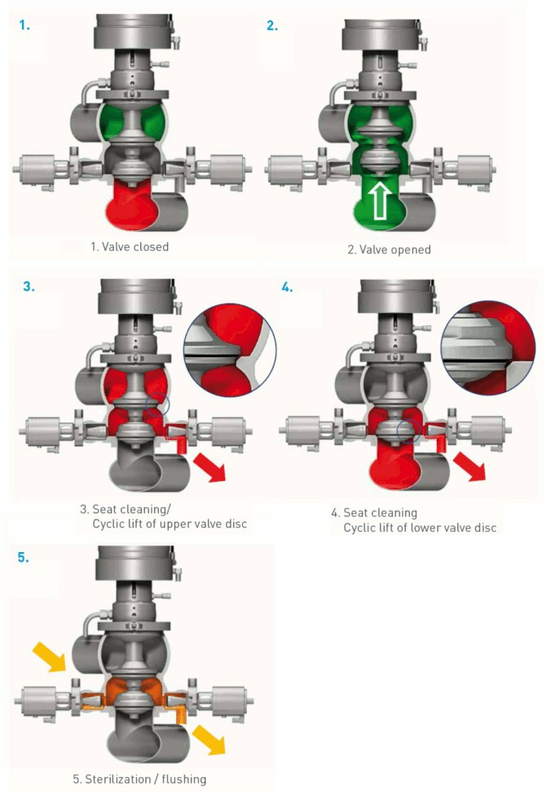 Reliable separation of upper and lower valve housing allows one or more lines or tanks (purple and red lines) to be cleaned during production (yellow and green lines).